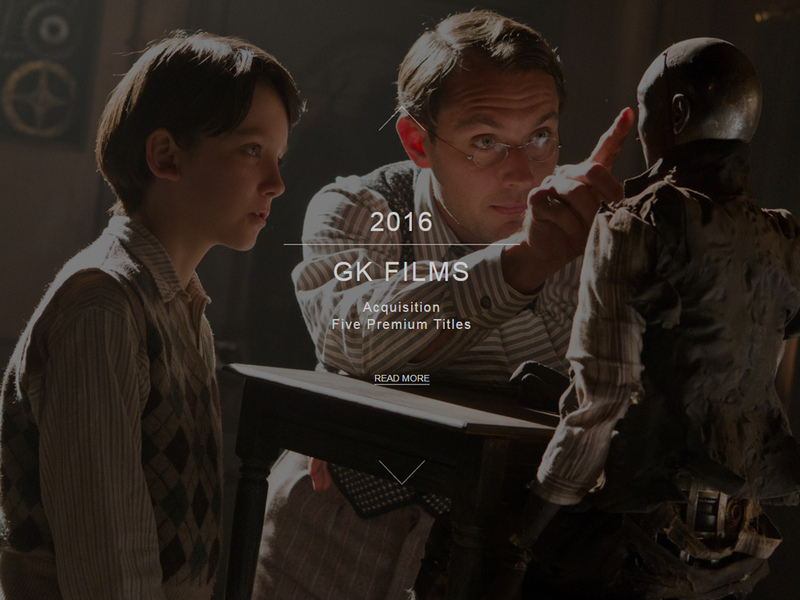 Revolution Studios engaged Imagistic to completely redesign their website including look & feel and site architecture, and to build a robust back-end system to showcase the studio's properties. 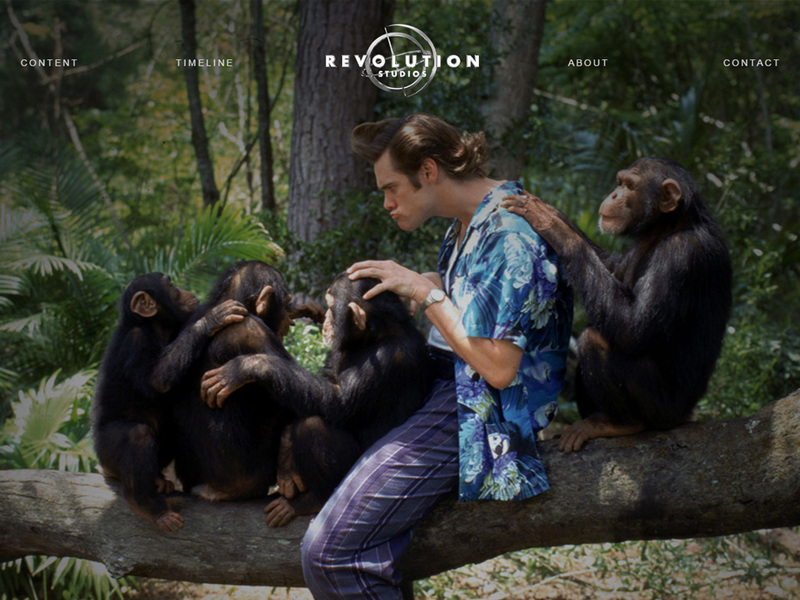 The goal of the new website was to re-tell the Revolution Studios story, and to serve as a tool for Licensees and Partners to do their business. Imagistic worked with the executive staff at Revolution Studios to address the core needs identified in their RFP: to build a robust and searchable digital content library, an easy-to-update press room, and a well branded, progressive and sophisticated look & feel. Integrated the WordPress CMS enabling staff with little technical expertise to quickly update content on every pages. Developed a digital library and underlying database to support easy management and search. Deployed a visually engaging virtual timeline to tell the company's story. Revolution Studios is a diversified entertainment company that develops, produces, finances and acquires film, television and stage productions. 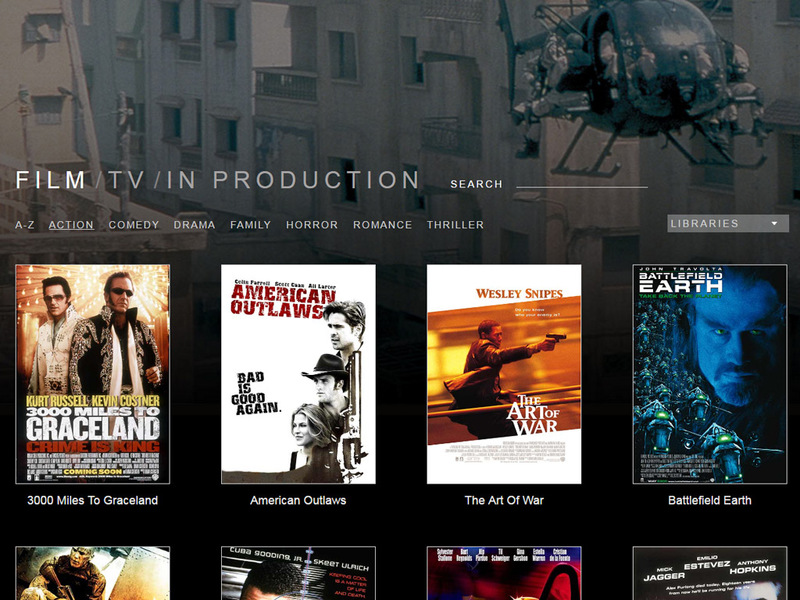 The company boasts one of the largest independent libraries of premium content, including 126 motion pictures and 240 television episodes. 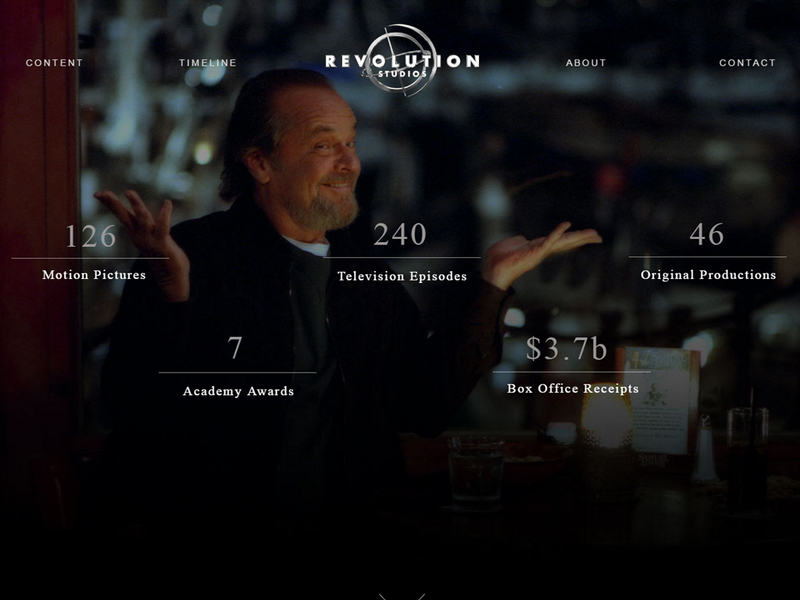 Revolution Studios has produced 46 films, including seven Academy Award winners, which collectively earned more than $3.7 billion in box office receipts.